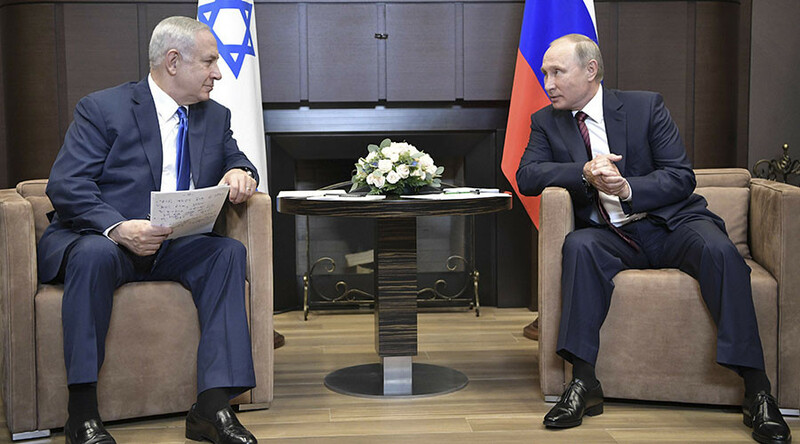 Israeli PM Benjamin Netanyahu has warned Russian President Vladimir Putin that Israel is prepared to intervene in Syria to counteract the Iranian influence in the conflict. Moscow, which views Iran as key to resolving the crisis, said it will note Israeli interests. "Iran is already well on its way to controlling Iraq, Yemen and to a large extent is already in practice in control of Lebanon," Reuters quoted Netanyahu as saying. "We cannot forget for a single minute that Iran threatens every day to annihilate Israel." "Israel opposes Iran's continued entrenchment in Syria. We will be sure to defend ourselves with all means against this and any threat." Iran supports Syrian President Bashar Assad in the civil war that has been gripping the country for six years. Israel considers the Lebanese Shiite militant group Hezbollah to be little more than a proxy of Tehran, and fears a Syrian government victory will further amplify Iranian influence at its borders and give Tehran access to the Mediterranean. Israel publicly considers Iran an even bigger threat to its security than Islamic State (IS, formerly ISIS/ISIL). "It is not an exaggeration to think that within a certain period of time, the Islamic State will lose its territorial footholds in Syria,"said Netanyahu, as quoted by Haaretz. "There will be a much better prospect for cutting the current civil war short and preventing a future war if Iran is not in Syria." "I made it clear to Putin that Iran's establishing itself in Syria will not aid stability in the region, and I told him that we want to prevent a future war and therefore it is important to warn in advance." Israeli officials may be particularly concerned about an Iranian presence near the Golan Heights, a disputed territory between Israel and Syria, part of which is under Israeli occupation. 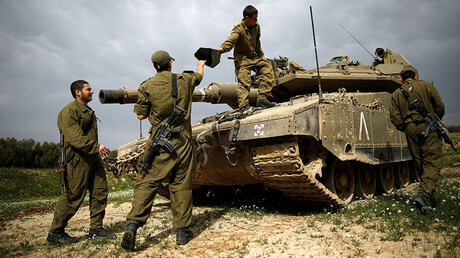 In July, the Israeli Defense Forces (IDF) opened fire on Syrian positions in response to two stray shells landing on the Israeli-claimed side. 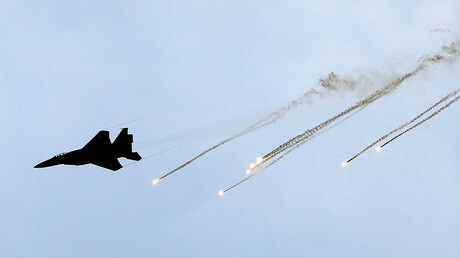 The Israeli Air Force (IAF) have repeatedly carried out air strikes on the Syrian territory since the beginning of the Syrian conflict. In July, it was reported that Israel has carried out dozens of strikes in Syria, allegedly targeting Hezbollah arms convoys. Netanyahu seemingly admitted to that during a meeting with the prime ministers of Hungary, the Czech Republic, Poland and Slovakia. “We built the wall because there was a problem with ISIS and Iran trying to build a terror front [in the Golan Heights]. I told Putin, when we see them transferring weapons to Hezbollah, we will hurt them. We did it dozens of times," the Israeli prime minister said at that time, referring to an earlier meeting with the Russian president. In March, the Russian Foreign Ministry summoned the Israeli ambassador to Moscow, Gary Koren, to demand explanations for the airstrikes Israel conducted near the Syrian city of Palmyra after the IDF warplanes hit several targets near the ancient city, allegedly destroying advanced arms provided to Hezbollah. 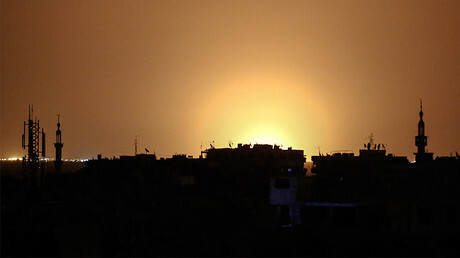 In January, Damascus accused Tel Aviv of bombing the Mezzeh military airport west of the country’s capital. Putin has not publicly responded to Netanyahu’s comments about Iran, which Moscow considers a partner in maintaining the de-escalation zones in Syria. However, on Tuesday Russia’s ambassador to Israel Alexander Petrovich Shein said that it will keep Israeli interests in mind when dealing with Syria. "We take the Israeli interests in Syria into account," Shein told Channel One television. "Were it up to Russia, the foreign forces would not stay." After the Sochi meeting, Netanyahu flew back to Israel, where he is due to sit down with US President Donald Trump’s son-in-law Jared Kushner to discuss the Palestinian-Israeli peace process.